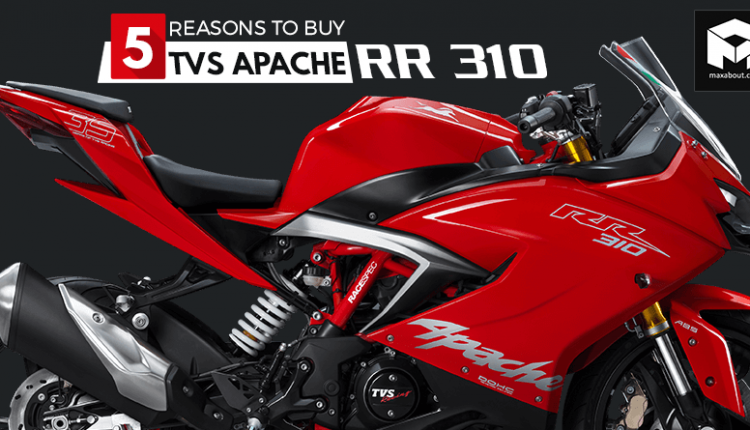 Reasons to Buy TVS Apache RR 310: TVS launched the much-awaited Apache RR 310 in the Indian market at an introductory price of Rs 2.15 lakh. The brand recently increased this price to Rs 2.23 lakh (ex-showroom Delhi). The company revealed the bike for the first time back in 2016, at the Auto Expo as TVS Akula concept. There was no doubt that the bike would be different from the Akula concept. While the fairing and design have remained unchanged, the company has added additional parts to the bike. People have received the bike well, citing many reasons to buy the bike. Akula, in Russian, means Shark, and the bike derives many of its design features forming a shark-like appearance. The design elements of the bike are aerodynamic and proportionate. The aggressive styling of the bike merges with a compact layout, managing to make a perfect bike for someone who does not wish to go too menacing with the RC390 or too soft with the other 200cc and 250cc bikes available in the market. 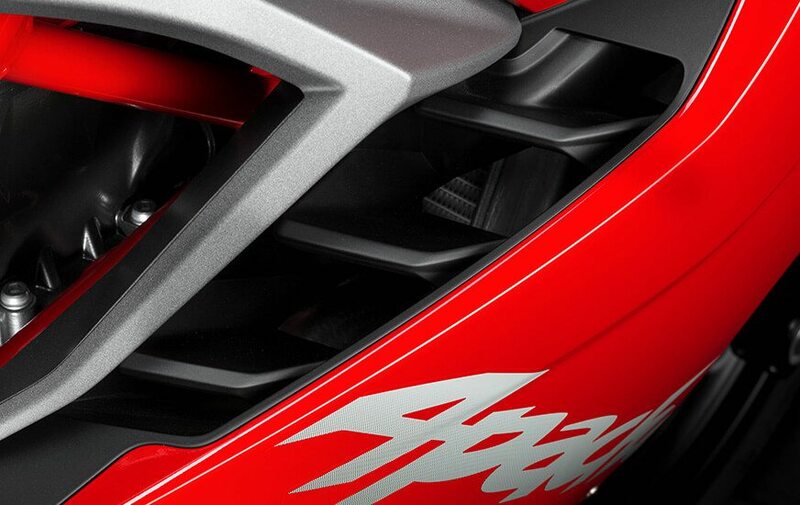 The front end of the bike sports bi-LED Projector headlamps, which remain switched on the whole time the ignition is on. Looking at the bike from both sides, you will notice that there is a certain symmetry to the bike which looks appealing to the eyes. 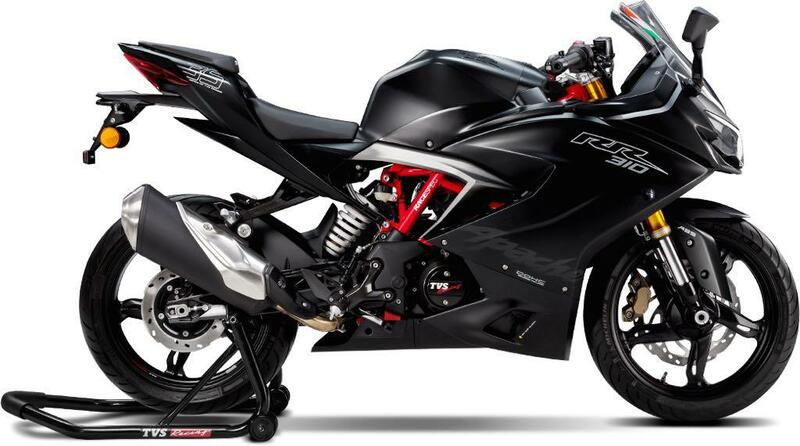 The overall design of the bike is enough to make sure that anyone will fall in love with it at first sight. 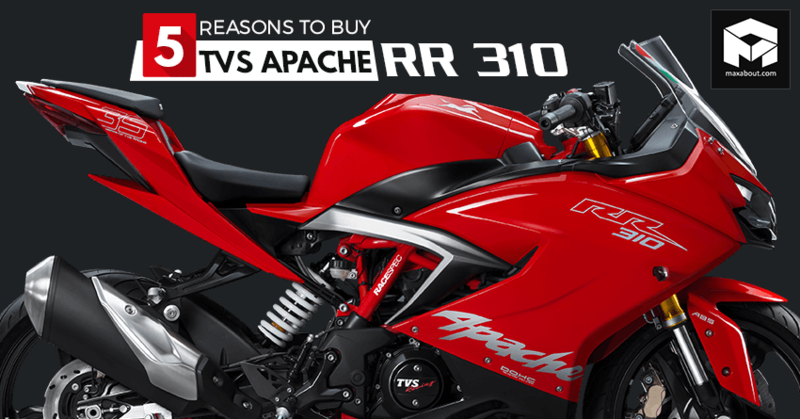 The RR 310 has the most powerful engine made for the Apache lineup till date. 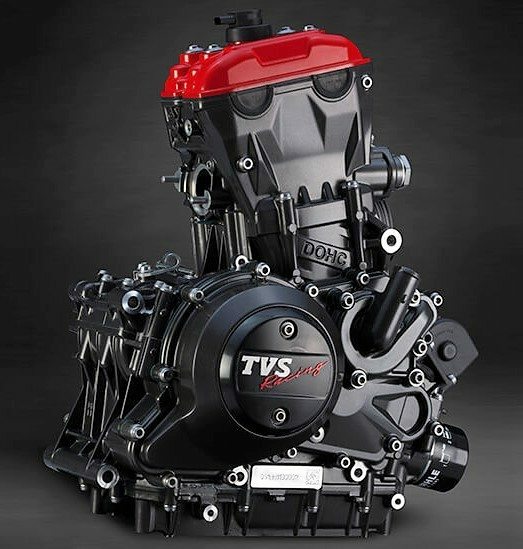 It is a 312.2cc four-stroke four-valve single-cylinder reverse-inclined unit that churns out maximum power of 34 HP at 9700 rpm and a peak torque figure of 27.2 Nm at 7700 rpm. 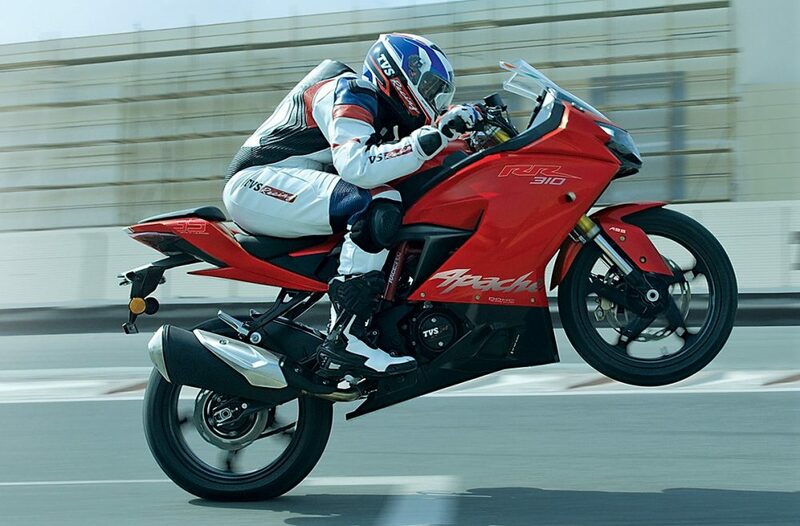 The engine is mated with a six-speed gearbox that gives the bike a mileage of around 25-30 kmpl. It is the same engine as the BMW G310R and produces the same power and torque as well. For real-world applications, this engine has been tested on the bike and it takes only 2.93 seconds to reach 60 kmph from rest and 7.17 seconds to reach 100 kmph from standstill. The instrument panel on the Apache RR 310 follows a vertical layout rather than a conventional horizontal cluster. This makes things on the instrument cluster easier to read while riding. 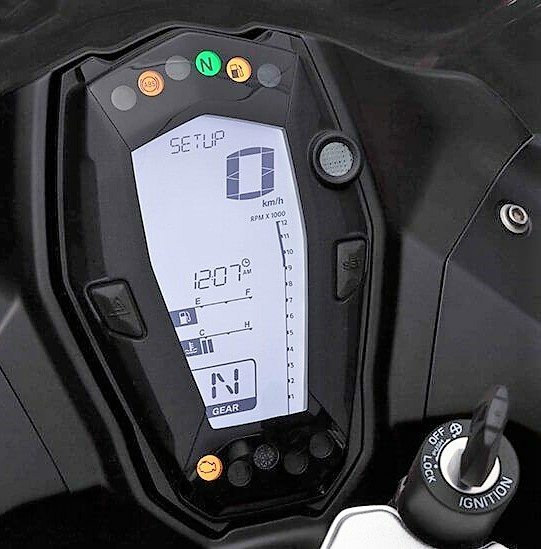 A vertical layout has been used on adventure and rally bikes to convey the information to the rider on the go. On the top of the panel, the range is displayed, below which the current speed of the bike is shown to the rider. There is the odometer below that and a digital clock, displaying the current time. The fuel gauge and the engine temperature find their niche below the clock. The right side of the panel is completely owned by the tachometer, showing the RPM of the engine in the bike in a crisp manner. The gear indicator finds its place right on the lower side of the panel, with the gear-shift indicator and other tell-tale signals around the panel. In its basic form, the RR 310 is a track bike. 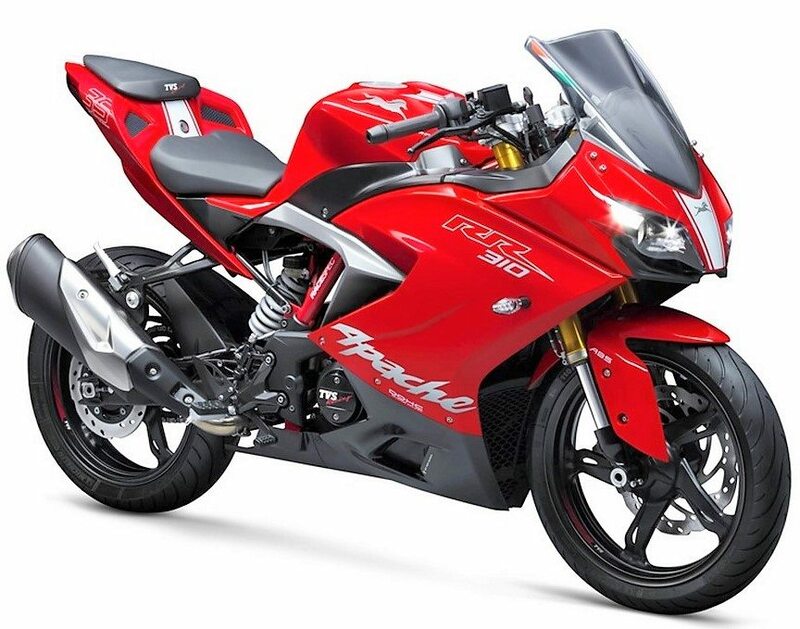 It inherits many features from TVS Motors’ 35 years of racing history. Michelin Pilot Street tires come as standard on the bike; they are extra sticky for track performance. Also standard on the bike, the ABS, dual-channel from Continental, provides extra safety and stability while braking. The suspension from Kayaba is also tuned to suit the needs of the track; the front sporting USD forks while the rear equipped with a monoshock. 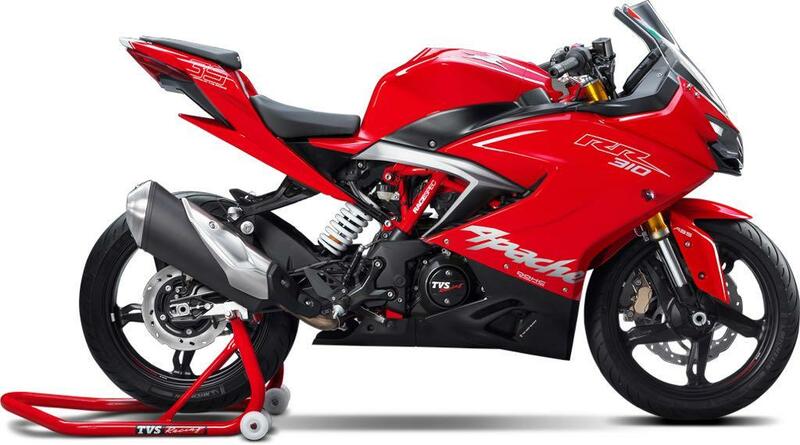 TVS is also planning to launch a slipper clutch variant of RR 310 in coming months. The parts and components used on the RR 310 are made out of good quality materials and the bike shares many similarities with the BMW G310R as well, ensuring that there are no complaints regarding the materials used on the bike. The trellis frame used on both the bikes is identical, with the TVS making slight tweaks to the rear sub-frame of the bike to better suit its needs.